Living in a city for too long makes you realise the value of pristine nature. Drowned in kilometres of concrete jungle for months or years together drains all the energy of the city folks, but we can't stop hustling in the competitive world. If you're in Delhi and if the city blues has gotten to you, then fret not. Delhi is encircled by quick getaways that can instantly rejuvenate your soul. One such immaculate and commercially untouched town is Rohru, located in the beautiful state of Himachal Pradesh. Rohru is nestled on the banks of river Pabbar and is at a distance of 438 km from Delhi and 115 km from Shimla. Try something new by taking a trip to Rohru, the town best known for trout fishing. Catch some fishes and enjoy the scenic beauty of this beautiful town. The months of March to June are the best to visit Rohru, where you can beat the summer heat in the company of your loved ones. If you're a fan of freezing cold weather, visit Rohru between November to January during the winter. Route 1 is advised since it is the shortest and the fastest way. Here are the stops you can make in the route 1. Kurukshetra, a town that is located 154 km from Delhi, occupies a significance in the Hindu epic Mahabharata since it is the land where the war between Pandavas and Kauravas took place. It is also the place where Lord Krishna walked Arjuna through his times of dilemma. Stop by Kurukshetra and walk through the temples such as Bhadrakali temple, Sthaneshwar Mahadev Temple, or spend time at the beautiful Brahma Sarovar. Chandigarh is a beautiful city that was designed by our Former PM Jawaharlal Nehru and Le Corbusier. It is located about 93 km from Kurukshetra and 260 km from Delhi. Due to this, you may see that the city is extremely well-planned with numerous places for recreation. You can stop by places such as the Sukhna Lake, set at the foothills of the Shivalik Hills, Leisure Valley and the many beautiful gardens of Chandigarh that are certainly worth a visit. Here are the places to visit and things to do at Rohru, the town that is situated 209 km from Chandigarh. The Pabbar Valley created by river Pabbar can be accessed only from Rohru and Theog. The valley is a sought-after destination mainly for trout fishing. Here you can just relax and enjoy the view of the beautiful valley and the pristine river Pabbar. It is still relatively untouched by commercialization. If you head to the Pabbar Valley, do try their delicious trout fish. These villages situated in Rohru are known for the myriad of medicinal herbs, beautiful wildflowers and rhododendron flowering trees. It is ideal to have a picnic or just spend time in the scenic beauty of nature. The Sharangcha Peak set at back enhances the beauty of these villages. 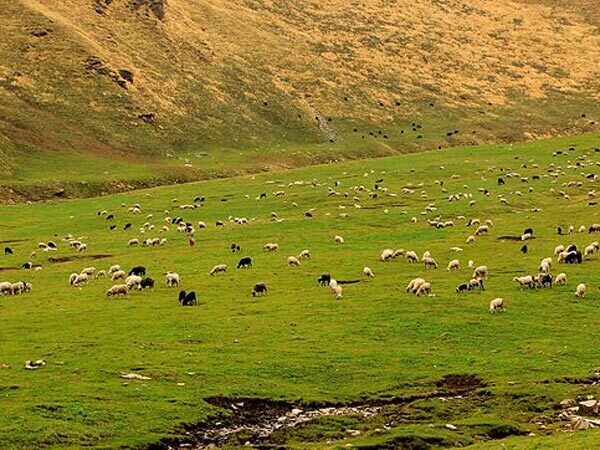 Chanshal Pass is the link between the two villages of Dodra and Kwar. It is perched on the Chanshal Peak that is present at a fearsome height of 14,380 ft, which happens to be the highest point in the entire Shimla district. Since the pass is mostly covered in snow, it remains open only between May to October. Soak in the immaculate view of the town from the Chanshal Peak. Hatkoti is a small town near Rohru that is also nestled on the banks of river Pabbar. Two streams called Bishkulti and Raanvti flow from the mountains and merge with the river Pabbar in this town. Visit the Hatkoti Durga Temple complex that is mainly dedicated to goddess Mahishasuramardini. The complex also has a different temple dedicated to Lord Shiva.